Hello all, Michelle here. This week is my turn and the theme is Washi Tape. You are supposed to use at least one washi tape. If you do not have washi tape, you may use paper or tissue tape. 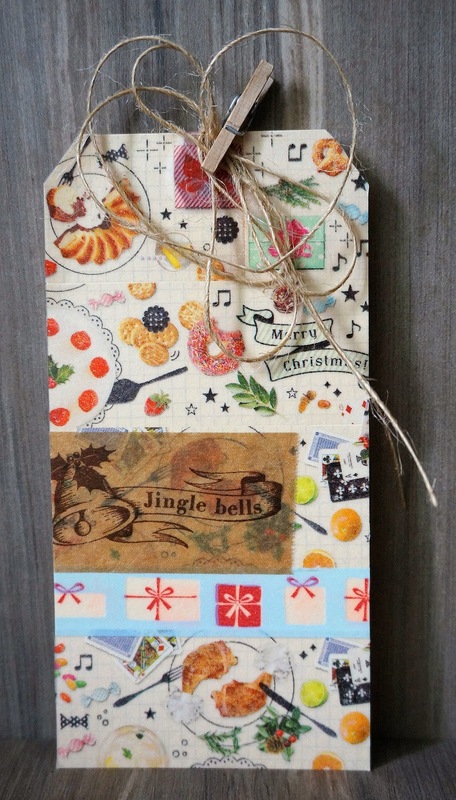 I have made a tag, covered with MT washi and a little strip of kikki tape. Do share with us with what you have for this theme and have fun! I used four types of washi tape behind my photo in this layout. For this weeks challenge, I used several different washi tapes to make a background that I die cut with my die cut machine. I decided to use Washi to make my little present for my card.